Alliance required a website to promote their services across the UK in order to support people, of all ages who have been diagnosed with autism, or those who wish to learn more about the condition. We took a brief with the desired branding requirements and our highly experienced team of graphic designers developed a colourful, vibrant logo with friendly appeal. 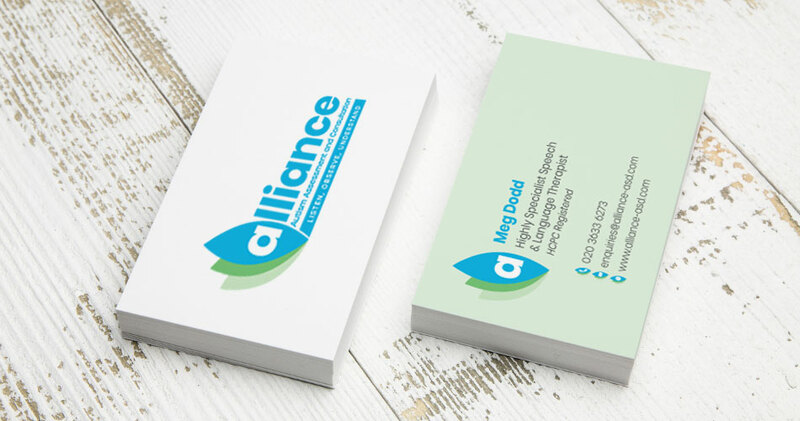 From there we went on to create an array of business stationery including business cards. As with all our website development projects, the Alliance site has been designed inline with ‘Mobile First’ thinking to ensure that every part of the content is easily accessible across all modern devices and screen sizes.